Posted on 12, April 2019 by EuropaWire PR Editors | This entry was posted in Aviation & Aerospace, Industrial, News, Technology, Transportation & Logistics, United Kingdom and tagged Air Premia, aircraft, Boeing 787, Chris Cholerton, Dr Jong Chul Kim, Dreamliner, engines, Rolls-Royce, Trent 1000. Bookmark the permalink. 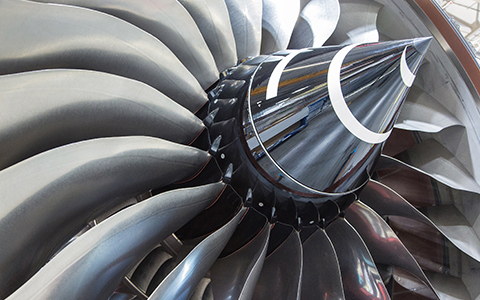 LONDON, 12-Apr-2019 — /EuropaWire/ — Korean airline Air Premia to power 10 Boeing 787 Dreamliner aircraft with Rolls-Royce Trent 1000 engines. The Trent 1000 TEN (Thrust, Efficiency and New Technology), the latest version of the Trent 1000 will be used by Air Premia. Trent 1000 TEN incorporates technologies from the Trent XWB engine which offers high fuel efficiency and low noise. “We are pleased to select the Trent 1000 to power the very first aircraft for our fleet. We have great confidence in Rolls-Royce and its capabilities and look forward to it powering our aircraft in service” comments Dr Jong Chul Kim, CEO Air Premia. “This is a great endorsement of our Trent 1000 engine and we warmly welcome Air Premia into our family of engine operators. We look forward to working with them and wish them every success with their new enterprise” comments Chris Cholerton, Rolls-Royce, President – Civil Aerospace. The airline also opted for the Rolls-Royce flagship long term TotalCare® support service which maximises aircraft availability. Air Premia will use its 787-9 aircraft on routes of more than six hours to North America, Europe and Oceania. The airline plans to start services in 2020 with long-haul services from 2021. The Trent 1000 incorporates technology that contributes to the Dreamliner achieving 20 per cent greater efficiency than the aircraft it replaces. It also has half the noise footprint of previous-generation aircraft. The Trent 1000 has powered the first flight and entry into service of every version of the Dreamliner – the 787-8, 787-9 and 787-10.